Are you in the PBA, FOP or a member of another police union (which police generally like to call “associations”)? Then depending on what happens at the Supreme Court soon, your life is about to change radically. Police unions/associations like the Fraternal Order of Police used to be about fighting for better wages and benefits for members but that has changed in recent years. 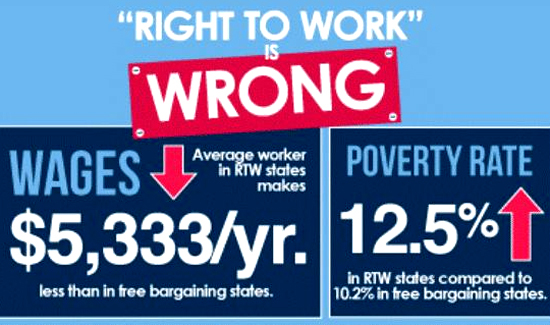 But now that SCOTUS is likely to make the whole country “right to work” by making it illegal for unions to collect dues, cops can look forward to smaller paychecks, loss of political clout and influence, as well as having to fight battles about toxic buildings or arbitrary discipline on their own. 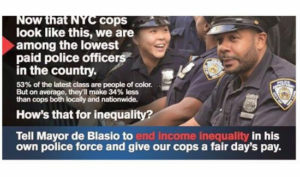 But the national leadership of the nation’s largest police union seems caught between disinterest and a strange enthusiasm. This is, much like the issue of criminal justice reform, another issue where the Koch brothers and groups like Black Lives Matter are on the same page. The Kochs hate unions because unions are what are necessary for things like a decent paycheck and not working in an asbestos pit without a respirator. For billionaires, a living wage and a decent life for workers is a clear and present danger as far as the bottom line is concerned. Fighting with the city over how much money police get is about to get a lot harder. 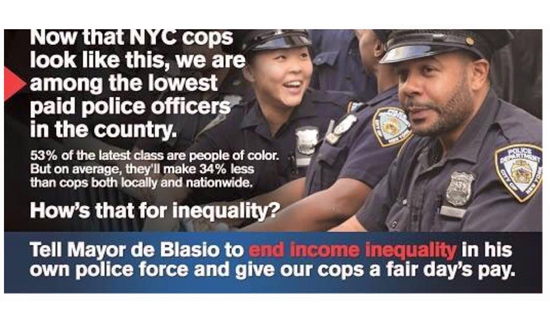 Buying ads like this costs money that police unions likely will not have after the SCOTUS ruling. But in addition to the wealthy and the corporate class, for critics of current policing models, and especially critics of the police disciplinary process this “end of unions” stuff is all really good news. So if this case shakes out how it looks like it might, you might want to get some guys together and start passing the hat around to hire a lawyer to fend off the Police Officers Bill of Rights legal challenges that are already in the pipeline.